The boys go deeper backstage and have to decide if they even want to get back to the real world! Will Kris be able to escape the trap sprung on the veteran Renegades, or will the team's newest recruits be forced to come to the rescue? The Ray and the rest of Batman's newest justice squad take on Lord Havok and the Extremists in their first mission out of the gate! Jughead embarasses Reggie ON THE INTERNET! Now even Betty is mad at our madcap hero! Is the son of the penguin hot, eligible, and a supervillain? Babs is going to find out, no matter how may dates it takes! Sapna's spirit is imbuing the soul sword at the moment, which is proving to be a distraction for Magik from the war against the Inhumans. The search for information on the Djinns continues! The Cheetah gears up to rescue her girldfriend's bestie. But are Minerva's former employers just setting a trap to catch a cat? 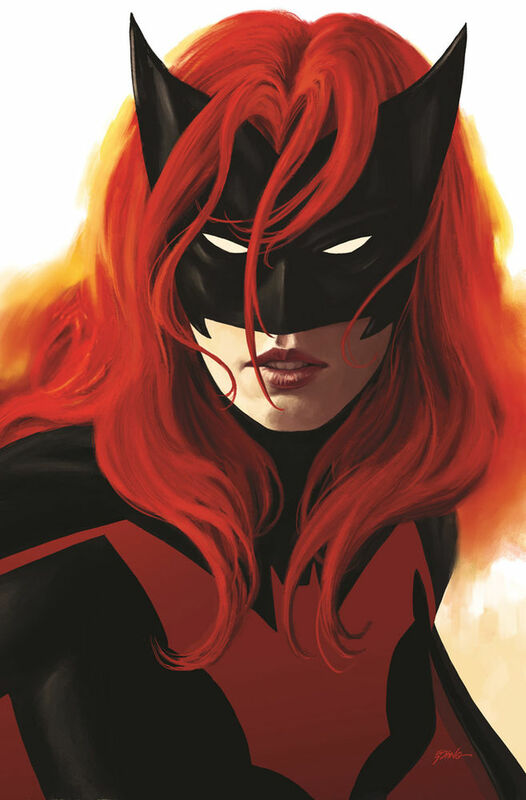 Batwoman is back! 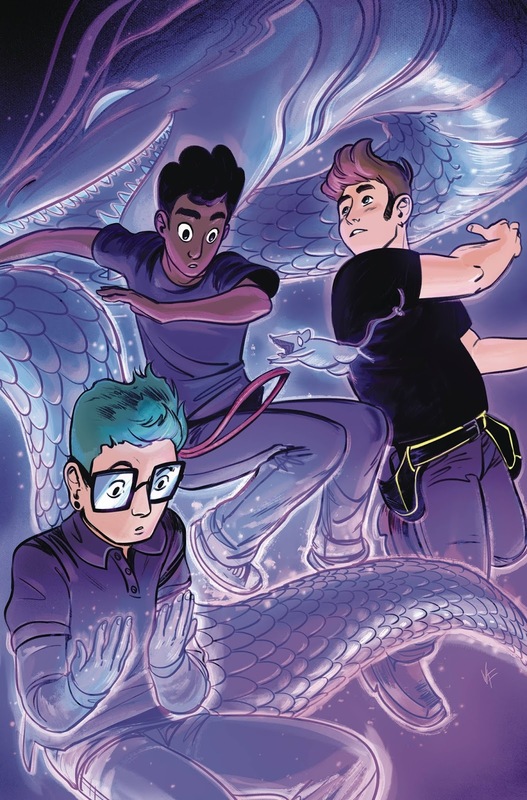 Find out who else turned up to celebrate in this week's... SuperQueeros: all that's lesbian, gay, bisexual, transgender, and queer in comics today! Spinning out of Detective Comics, Batwoman is combating Monster Venom on the streets of Gotham! But this bioweapon du jour is intimately tied to her past, and pulling on one thread will cause everything to come unraveled! It's Roller Derby time! Welcome to... the Rumblejanes! The Black Panther prequel continues as Ayo and Aneka grow closer to birthing the Midnight Angels! Well that took a sudden turn! 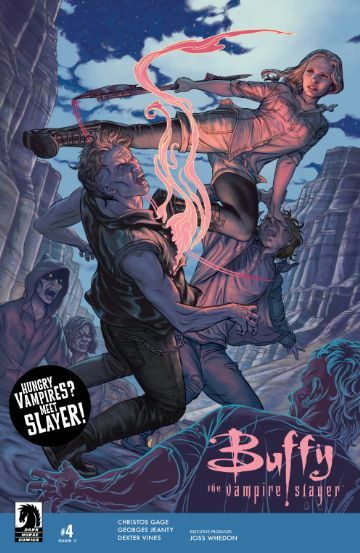 Willow, Buffy, and Spike are now members of the magical internment camps that have sprung up in post-dragon America. The phrase "this is a tinder box" seems inadequate. Patsy's sick and... things are catching on fire? Whaaaaaat? The team takes on and takes down the Golden Skull! Someone is eating the homeless, and Harley, Ivy, and Red Tool are taking the case! The team takes on the Troubleshooters! Cap, D-Man, and the rest of the team suit up to take on a society enraged! How will this book respond to police brutality? What does it's author think about the current political climate? Will this book finally take a stand? It's Cheryl v Veronica as the two wealthiest women in Riverdale battle it out for ultimate control! Justice League #15 and Trinity #6 find Wonder Woman traveling through time and being possessed by Mongul and Poison Ivy's kid! Alexandria was supposed to be Maggie's refuge, but it's been compromised. What now? Wade meets Captain America. The Hydra one. Jack is back, along with Steven's pack! Will Minerva be a snack? SuperQueeros: all that's lesbian, gay, bisexual, transgender, and queer in comics today! 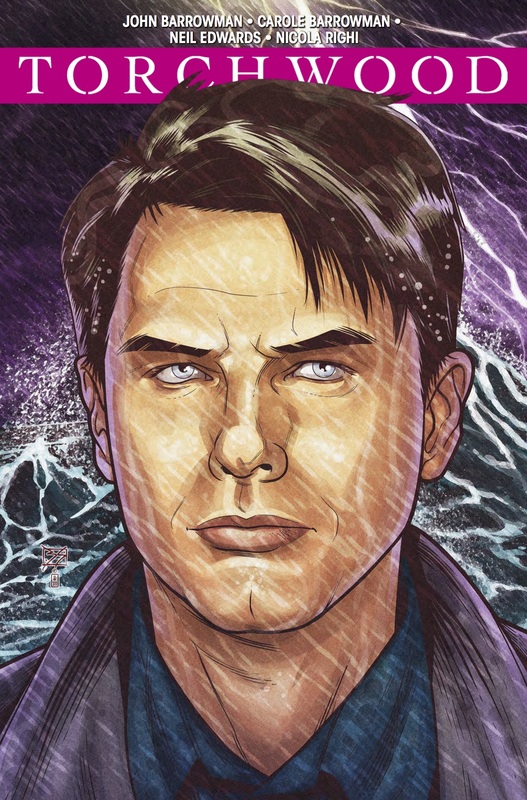 The Torchwood team are back in the sequel to their last series! The Crystal Gems get an on going series! Find out what Beach City looks like between Steven Bombs! The Great Darkness is upon us! More importantly it has Minerva, and not all of our gods think it is real. Are we about to lose another one of the pantheon? Finishing up on Yavin 4, Aphra starts the search for a new weapon! 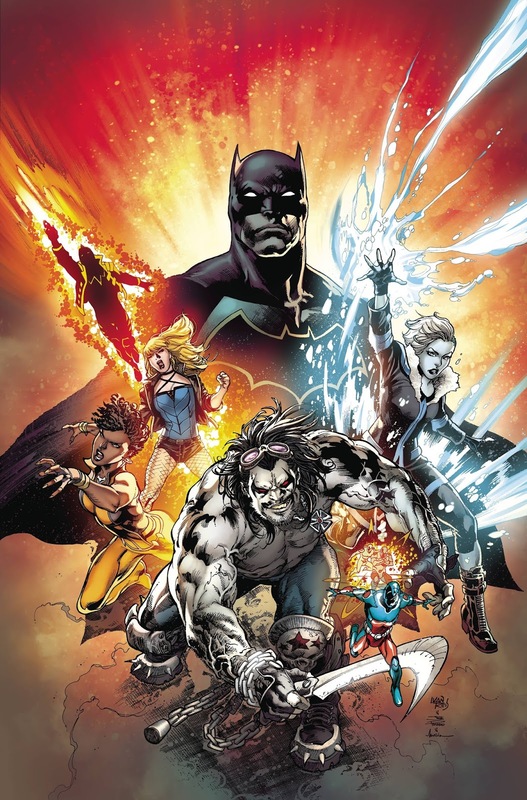 With Rebirth and Batman's JLA on the rise, the New 52 JSA is reaching a conclusion. 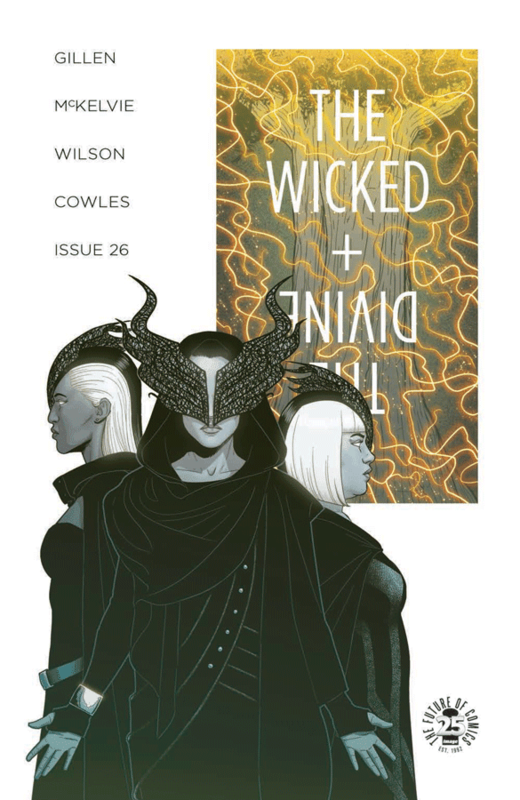 This month, the penultimate issue brings the war with the Sandmen to a head! Rustam is on the loose and Waller's Task Force X is on the case! Can the team find the original Rick Flag and bring him down, or will the world go up in flames? Diana takes on Godwatch, the enemies behind her enemies!